A beautiful, healthy smile that lasts a lifetime is our ultimate goal for you. Your personal home care plays an important role in achieving that goal. It starts at home by eating balanced meals, reducing the number of snacks you eat, and correctly using the various dental aids that help control the plaque and bacteria that cause dental disease. Brush your teeth at least twice a day (especially before going to bed at night) with an CDA approved soft bristle brush and toothpaste. Brush your tongue to remove bacteria and freshen your breath. Electric toothbrushes are also recommended. They are easy to use and can remove plaque efficiently. Simply place the bristles of the electric brush on your gums and teeth and allow the brush to do its job, several teeth at a time. Daily flossing is the best way to clean between the teeth and under the gum line. Flossing cleans spaces, and prevents plaque colonies from building up. Take 12-16 inches (30-40 cm) of dental floss and wrap it around your middle fingers, leaving about 2 inches (5 cm) of floss between your hands. Using your thumbs and forefingers to guide the floss, gently insert the floss between teeth using a gentle sawing motion. It is important to rinse your mouth with water after brushing, and also after meals if you are unable to brush. If you are using an over-the-counter product for rinsing, it’s a good idea to ask your dentist or dental hygienist whether it’s right for you. Dr. Michael G. Boisson, practices a full scope of general dentistry with expertise ranging from porcelain veneers to crowns, dental implants and orthodontics. 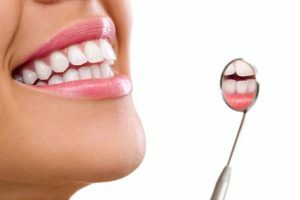 Dr. Boisson can correct a wide variety of so-called permanent cosmetic dental problems, and can literally redesign someone’s smile.